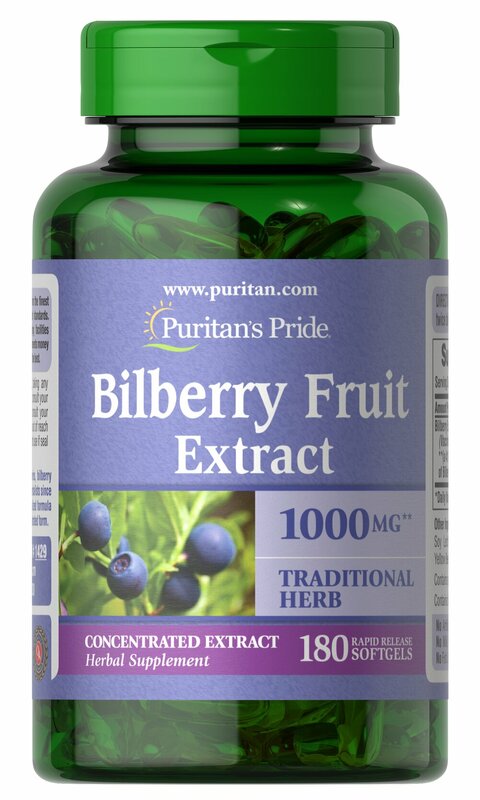 Puritan's Pride 3 Units of Bilberry Fruit Standardized Extract 60 mg-100-Capsules Bilberry is a close relative of Blueberries. Our high-quality Bilberry contains over 15 different naturally-occurring anthocyanidins, which are flavonoids that contain beneficial antioxidant properties. 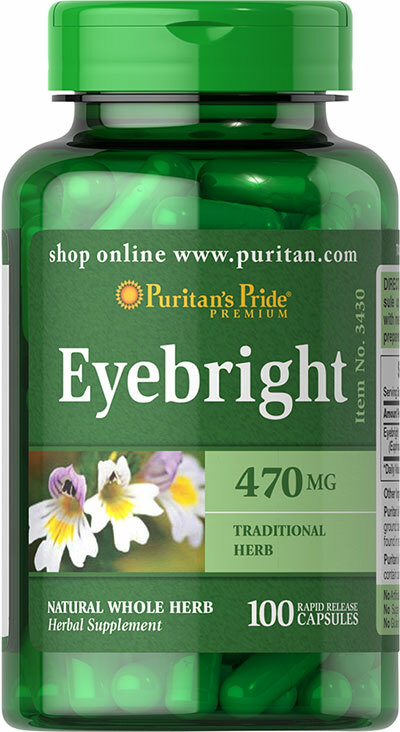 This specialized formula helps support eye function by promoting healthy circulation. Available in 60 mg dried extract capsules (standardized to contain 25% anthocyanidins). Bilberry is a close relative of Blueberries. Our high-quality Bilberry contains over 15 different naturally-occurring anthocyanidins, which are flavonoids that contain beneficial antioxidant properties. 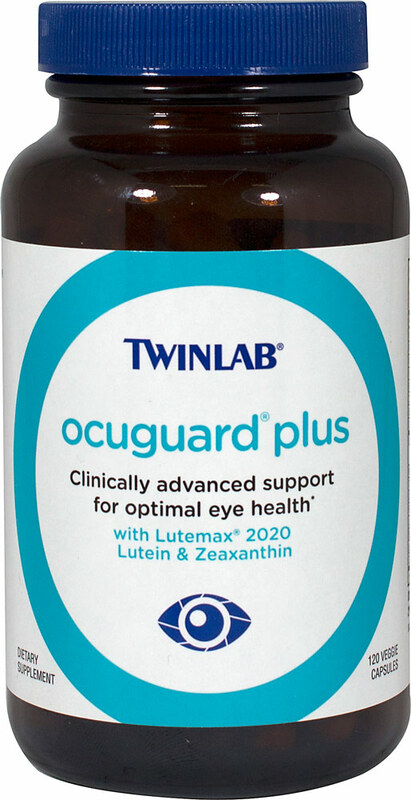 This specialized formula helps support eye function by promoting healthy circulation. Available in 60 mg dried extract capsules (standardized to contain 25% anthocyanidins). 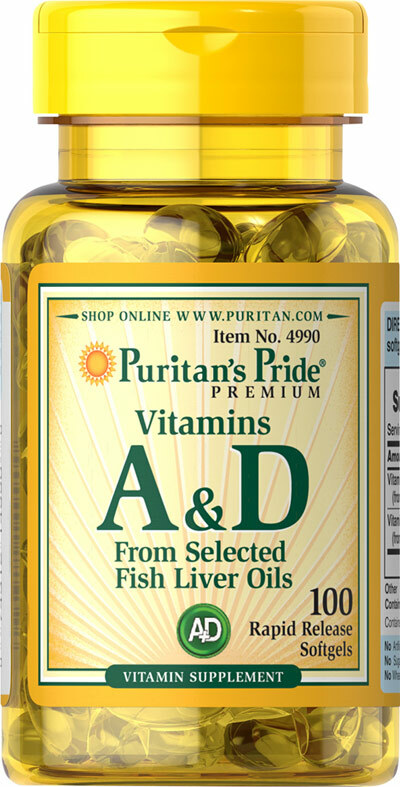 Vitamin A and D are essential nutrients. 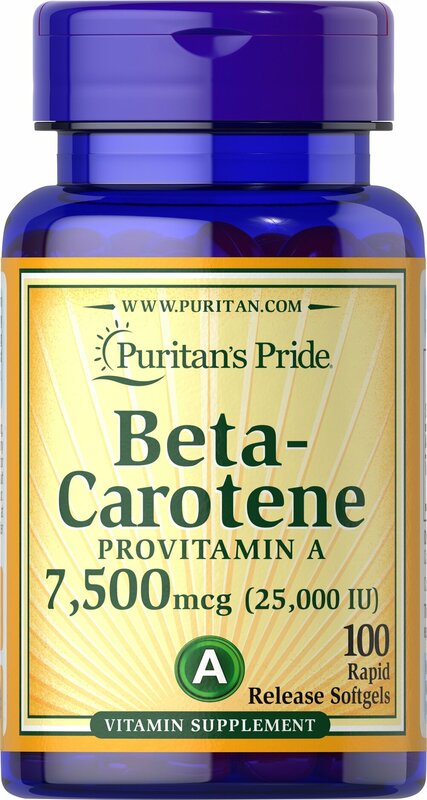 Vitamin A helps regulate the immune system and assists in many other functions such as eyesight. Vitamin D helps maintain healthy bones in adults and is essential to Calcium absorption. Helps maintain the health of eyes Supports the immune system. Helps maintain the skin and health of hair. Plays a role in maintaining bone health. Like other parts of the body, the eyes can be affected by the stresses of time. 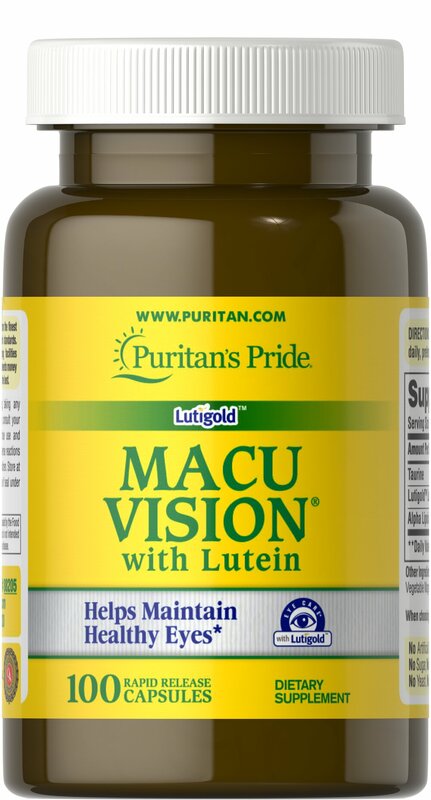 Lutein plays a role in the maintenance of eye health and is the principle Carotenoid found in the central area of the retina called the macula. Carotenoids are fat-soluble antioxidants found in fruits, vegetables, marigolds and other plants. Adults can take one 40 mg softgel daily with a meal. Like other parts of the body, the eyes can be affected by the stresses of time. 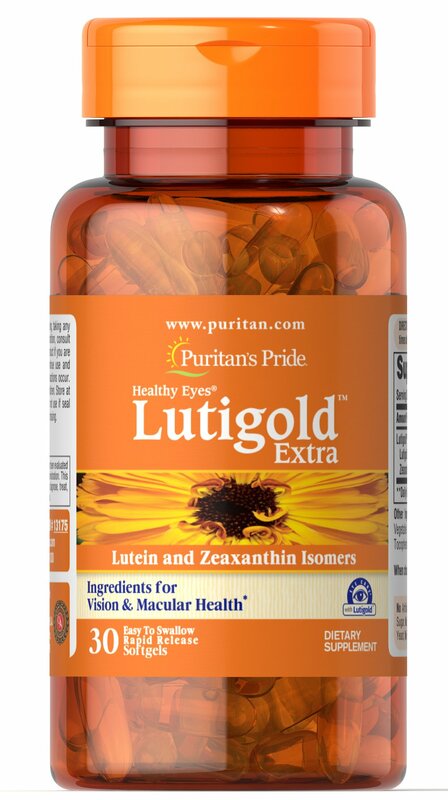 Lutein Lutigold plays a role in the maintenance of eye health and is the principle Carotenoid found in the central area of the retina called the macula. Carotenoids are fat-soluble antioxidants found in fruits, vegetables, marigolds and other plants. Bilberry is a close relative of Blueberries. Our high-quality Bilberry contains over 15 different naturally-occurring anthocyanosides, which are flavonoids that contain beneficial antioxidant properties. This formula contains 375 mg Bilberry (Vaccinium myrtillus) (fruit) (from 37.5 mg of 10:1 Extract). Eyebright (Euphrasia officinalis) is a natural whole herb. Provides traditional goodness from Mother Nature. Available in 470 mg Whole Herb Capsules. 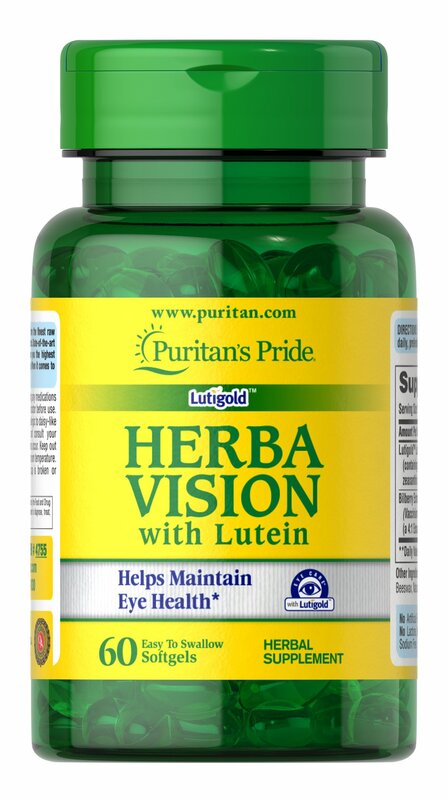 Lutein supports eye health for adults. It is one of the most abundant carotenoids found in fruits, vegetables and even plants like marigolds. 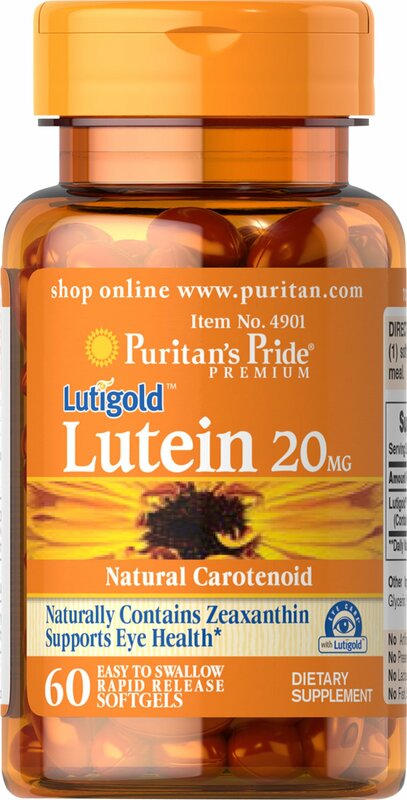 Lutein also has antioxidant properties for adults. 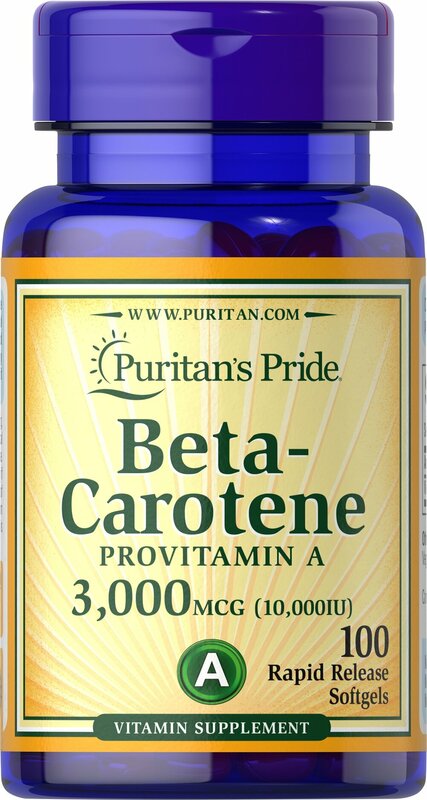 Lutein is an important nutrient that has recently been added to certain infant formulas. Lutein is naturally found within breast milk, and women who are breastfeeding can supplement with Lutein during this critical time period. Take one daily for postnatal use. 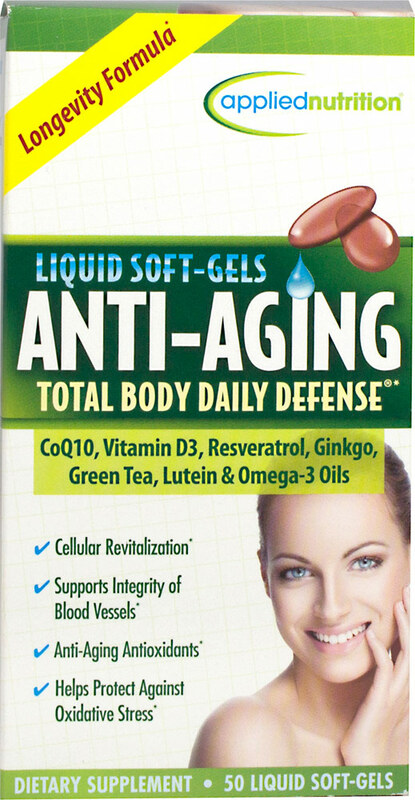 From the Manufacturers Label: Anti-Aging soft-gels contain CoQ10, Vitamin D3, Resveratrol, Green Tea, Ginkgo, Lutein and Omega 3 Oils. Powerful Antioxidant Suited for Stressful Lifestyles Astaxanthin promotes antioxidant health, which helps fight the cell damaging free radicals that can lead to oxidative stress which may contribute to the premature aging of cells.
) 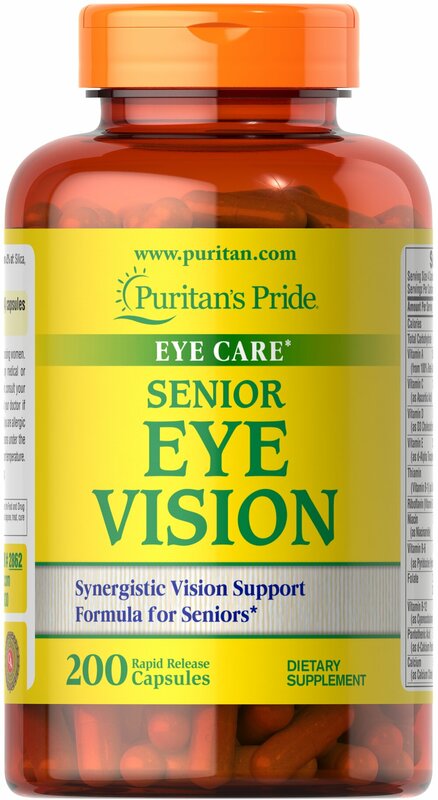 From the Manufacturers Label: A supplement designed for eye health. Vizion 2020 contains premier nutrients such as lutein, bilberry and Vitamin A, ingredients famous for their support abilities. Lutein has antioxidant properties and is found in the macula of healthy eyes. 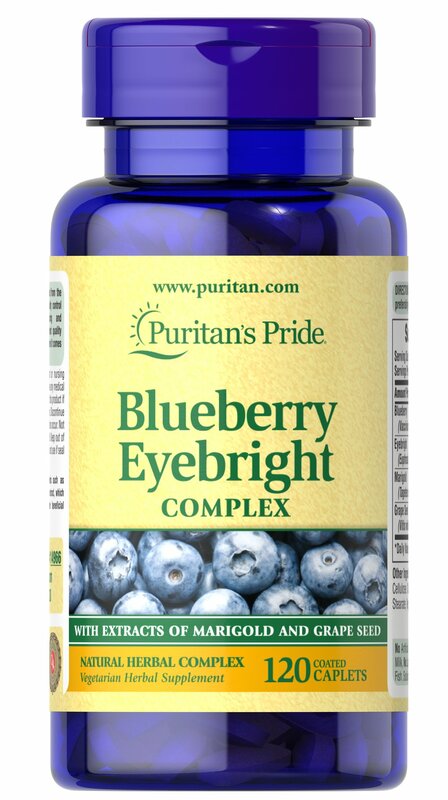 Both Vitamin A and Bilberry help support healthy eye function. So, let your light shine with Vizion 2020.
) From the Manufacturers Label: Similasan Dry Eye Relief Sterile Homeopathic Eye Drops: Relieves Dryness, Clears redness, Soothes and Moisturizes. Long Term, Healthy Relief. From the Manufacturers Label: OcuGuard Plus capsules contain a special blend of specific multivitaminss (more than 14 in all!) designed to help protect the eyes. 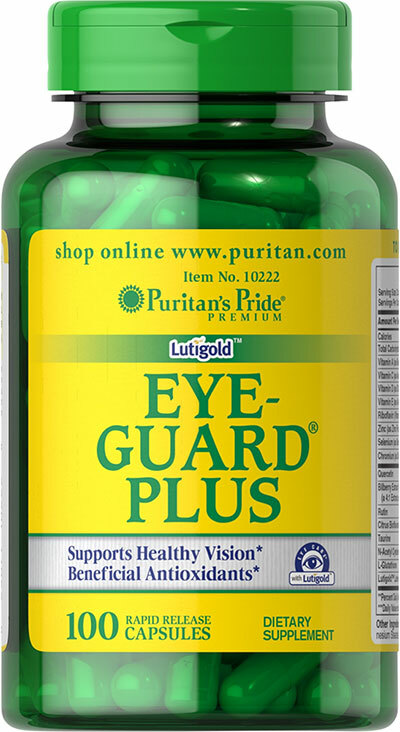 The Plus in OcuGuard Plus refers to the additional breakthrough nutrient called Lutein. A days supply contains 80 times the trace amounts found in the leading multivitamins! 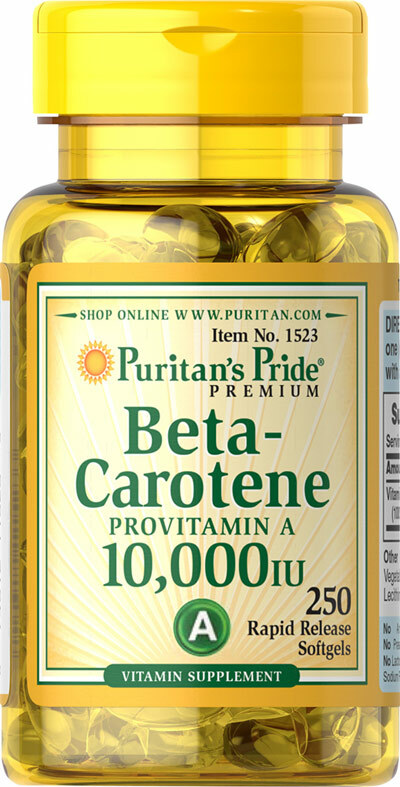 TFrom the Manufacturers Label: Carotenoid Antioxidant Vegetarian Formula Astaxanthin is a naturally occurring carotenoid that, becauseof its unique structure, provides antioxidant benefits. 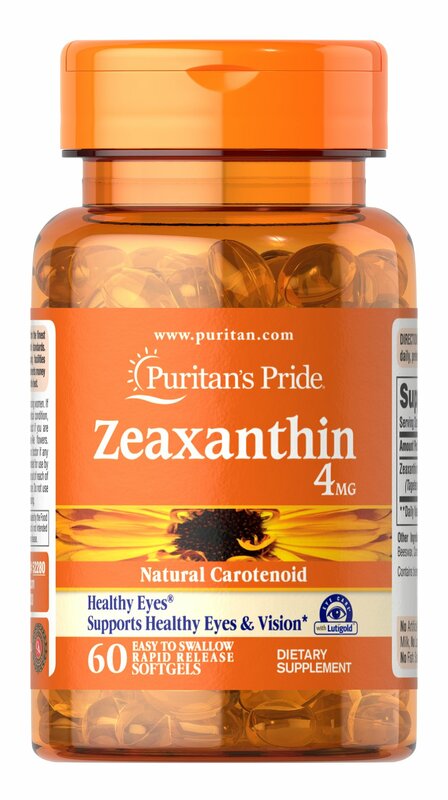 Zanthin Astaxanthin supports overall ocular health. Manufactured by NOW Foods. 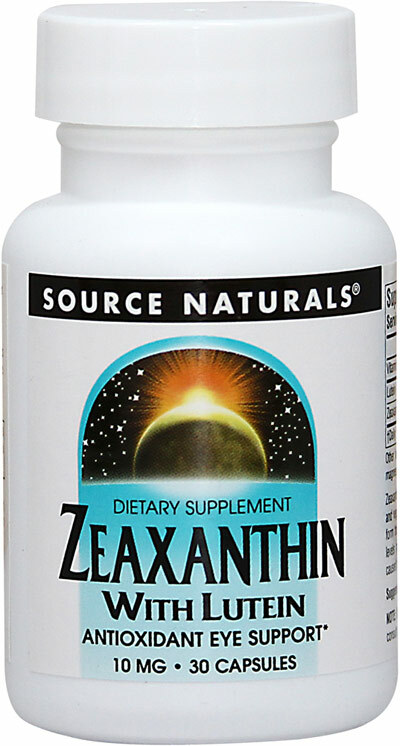 AFrom the Manufacturers Label: Antioxidant Eye Support Zeaxanthin and Lutein , two powerful antioxidants found in fruits and vegetables, selectively concentrate in the retina of the eye to form the macular pigment. Maintaining healthy macular pigment levels may provide retinal protection against oxidative stress caused by normal UV exposure on the aging eye. Manufactured by Source Naturalsandreg,. 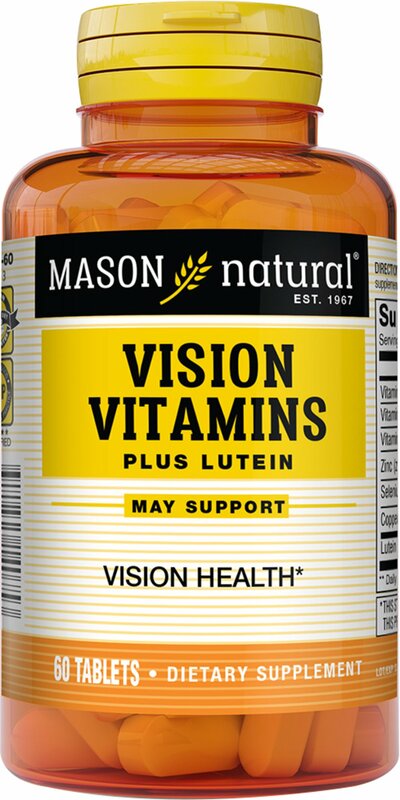 We are proud to bring you Vision Vitamins Plus Lutein.Look to Puritans Pride for high quality products and great nutrition at the best possible prices. The eyes have it! 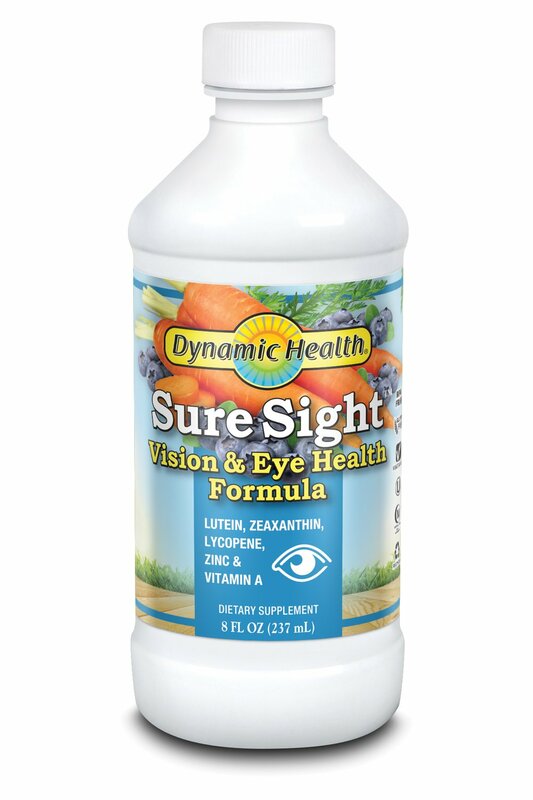 This exceptional formula contains over 14 active ingredients including the antioxidant nutrients Selenium, Vitamin C and Vitamin E. This formula also contains Bilberry extract, which helps support eye function by promoting healthy circulation, and Lutein, which plays a role in the maintenance of eye health and is the principle Carotenoid found in the central area of the retina called the macula. Bilberry has been widely known to herbalists since the 16th century. This close relative of blueberries contains over 15 different naturally occurring anthocyanosides (flavonoids) that contain. 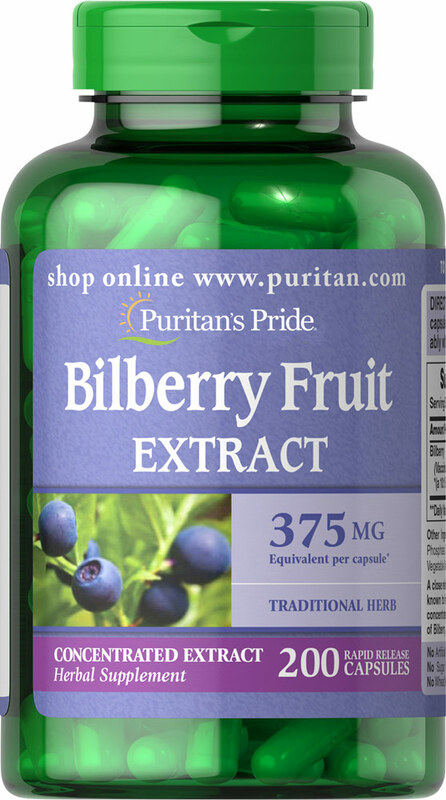 Our Bilberry delivers 1000 mg (from 250 mg of 4:1 extract). From the Manufacturers Label: Lubricant Eye Drops Soothes Moisturizes Protects Compare to active ingredients in Visine Tears Eye Drops Uses: For the temporary relief of burning and irritation due to dryness of the eye - for protection against further irritation. 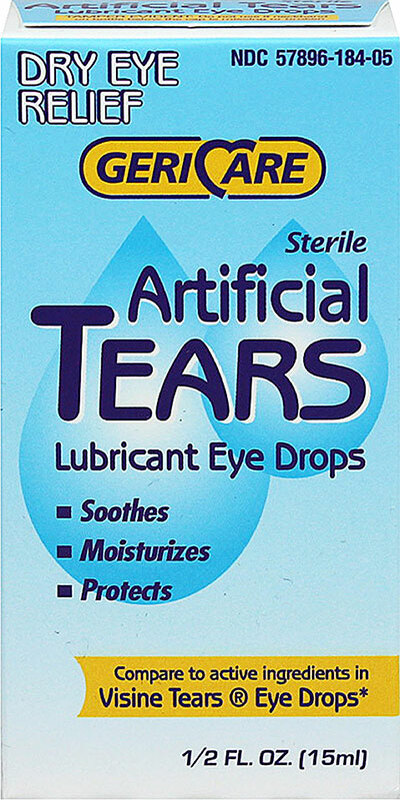 Manufactured by Gericare This product is not manufactured or distributed by Pfizer Consumer Healthcare, owner of the registered trademark Visine Tearsandreg, Eye Drops. 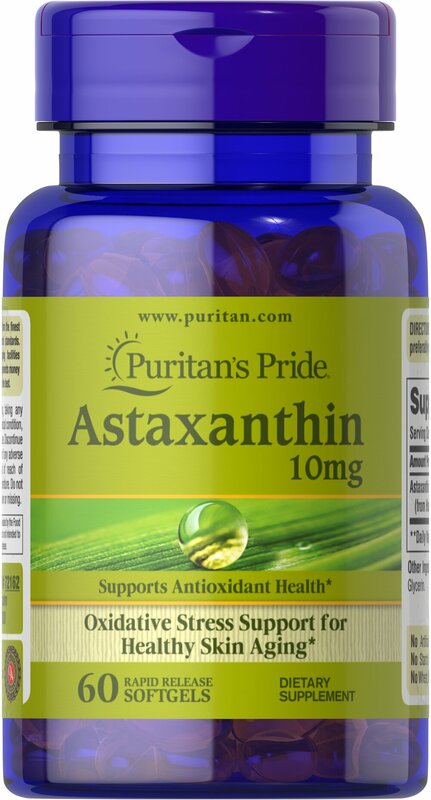 From the Manufacturers Label: BioAstin Supreme Astaxanthin 6 mg is manufactured by Nutrex. 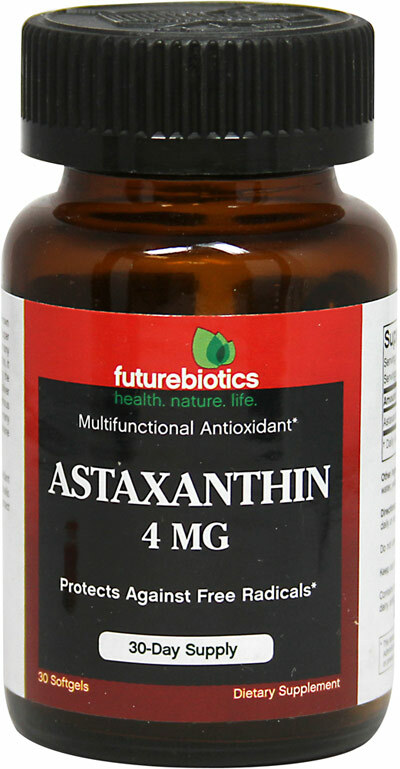 From the Manufacturers Label: BioAstin Natural Astaxanthin 4 mg is manufactured by Nutrex.